Sticky, sweet, gooey, messy. And so good. And so fast and easy. 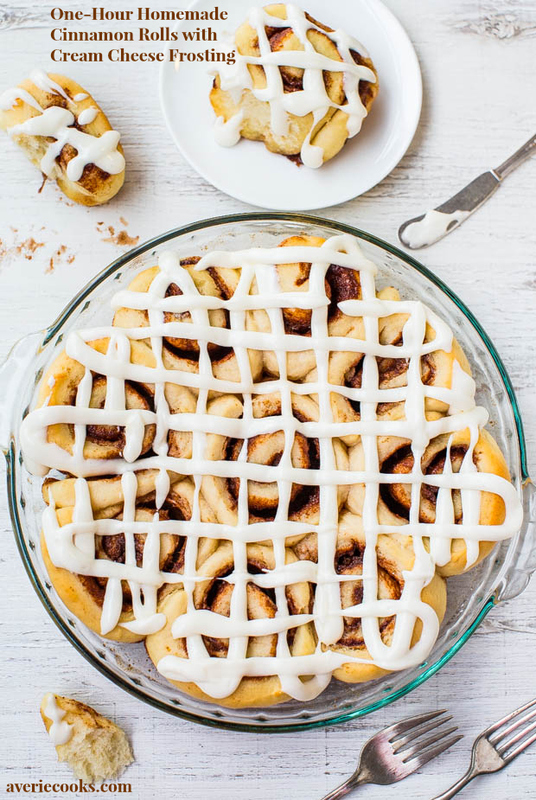 These are the easiest sticky buns you’ll ever make because there’s a shortcut. I really like shortcuts. Especially when I’m having people over for brunch, and I want to focus on the people. Not on bread dough. 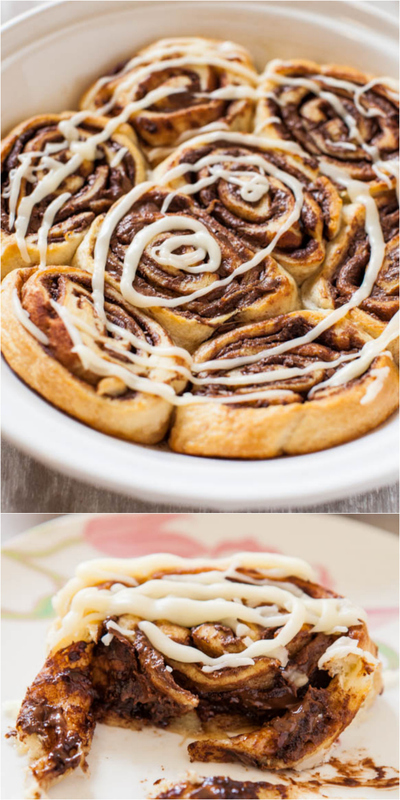 I have many scratch cinnamon roll recipes, and some that are even ready in one hour, but sometimes shortcuts save my sanity. 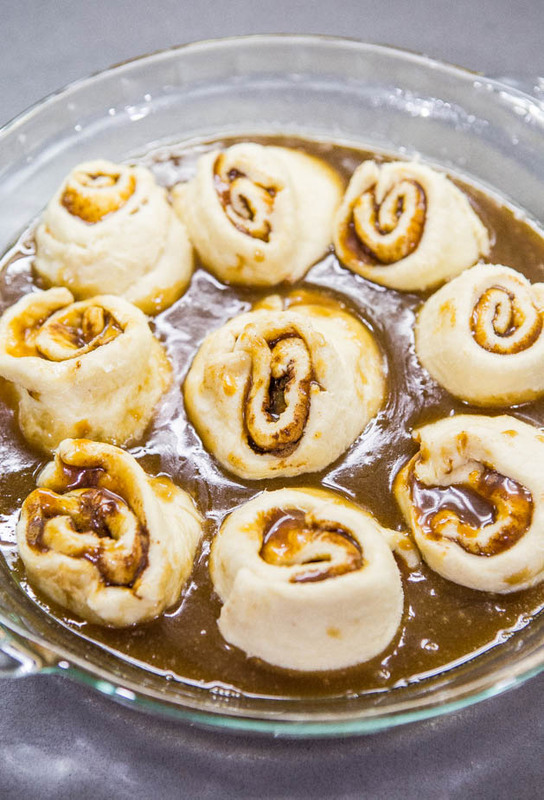 The sticky buns are made with a tube of refrigerated Pillsbury Biscuit Dough (or alternatively you can use Crescent Roll Dough), a quick little brown sugar-butter sauce, and storebought salted caramel. If you want to make your own salted caramel, go for it this the recipe here or here. However, I was all about the ready from start-to-finish in less than 30 minutes aspect. They’re perfect for brunch, lazy weekend mornings, or special events like Easter. It’s easy to make your Easter celebration a little more special with simple, fun, and delicious recipes that you don’t have to slave over. To make the sauce, whisk together melted butter with dark brown sugar and a pinch of salt. Dark brown sugar is richer and more caramely than light brown because they’re twice the amount of molasses, but light brown can be used. Pour the sauce into the bottom of a pie dish. It looks like a lot, and it is, but I hate sticky buns that aren’t super sticky, well-coated, and extra juicy. Open the crescent rolls, and if you’re lucky, they’ll stay fairly intact as you unbundle the roll. Make one long row, gently pressing the seams together. It doesn’t have to be perfect, and the less you handle the dough, the better so that it doesn’t get too soft and hard to handle. 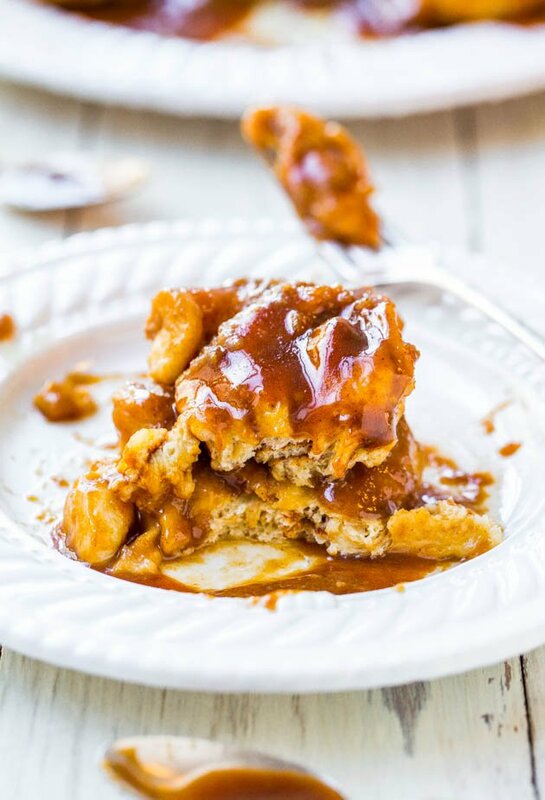 Drizzle with caramel sauce, sprinkle with cinnamon, and roll up the dough starting with a long side. To slice the dough log into segments, I use unwaxed dental floss. It’s truly the best for making clean cuts without squishing and compressing the log. I used to think it really didn’t matter much and would use a knife until I had crushed one too many logs. Bake for about 20 minutes. The caramel sauce in the bottom of the pan should be a little bubbly and will have thickened up some. I made these the night before the brunch I was having and allowed the buns cool overnight in the pan before inverting it the next morning. Overnight lots of the sauce absorbed into the buns. I chose to invert the pan so the sauce would be on top, but you can spoon it out of the pie dish and drizzle it back over the buns. 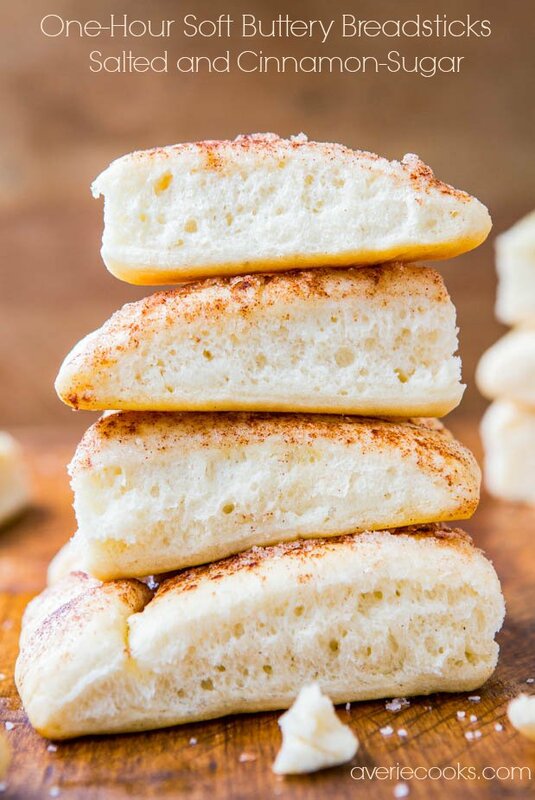 The little bit of cinnamon gives some depth and extra flavor to the otherwise buttery dough. It’s amazing how well Biscuit Roll Dough stands in as great cinnamon roll dough. 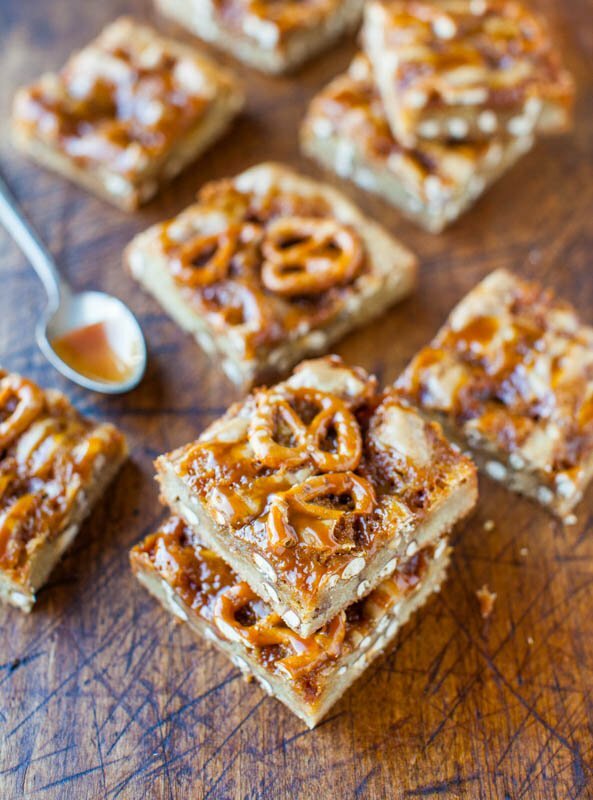 They’re super soft, gooey, and the caramel flavor is rich and abundant. 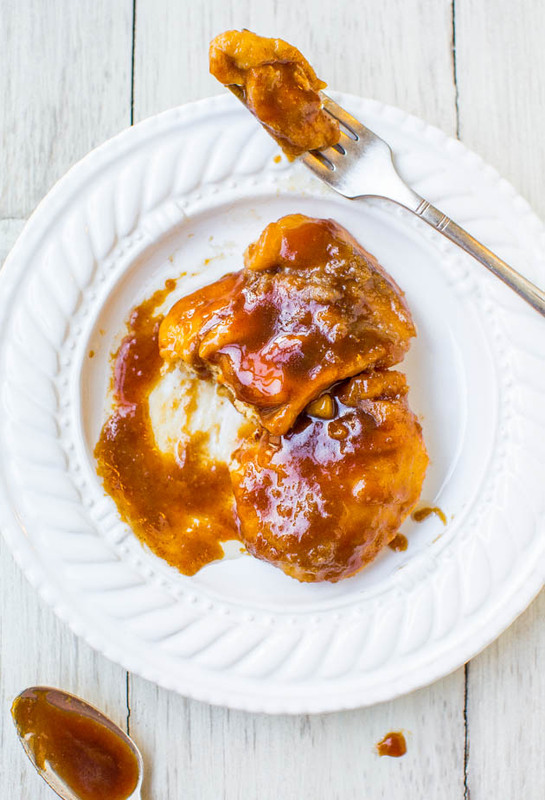 Between the homemade buttery dark brown sugar mixture that caramelizes in the oven and the salted caramel, they’re a caramel lover’s dream. These are the easiest sticky buns you’ll ever make because they’re made with a shortcut: refrigerated Biscuit Roll Dough. 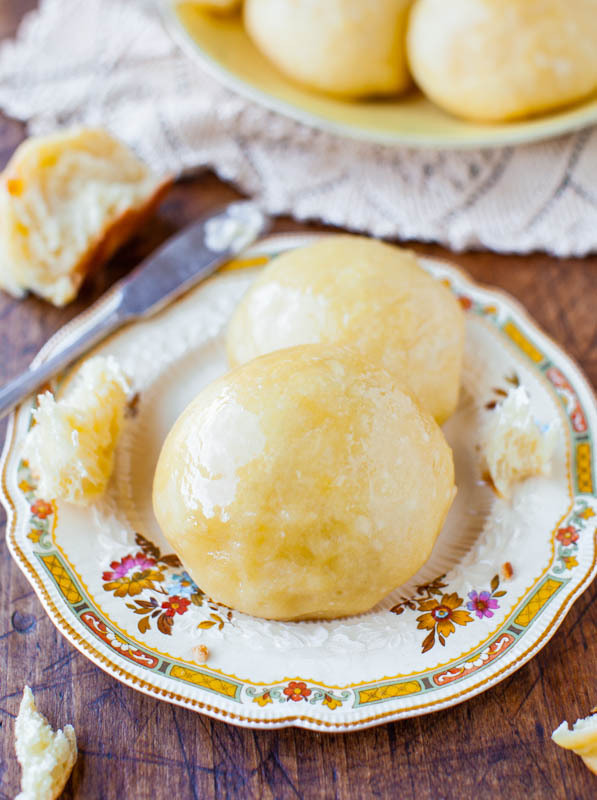 The buns are super soft, gooey, and the caramel flavor is rich and abundant. Between the homemade buttery dark brown sugar mixture that caramelizes in the oven and the salted caramel, they’re a caramel lover’s dream. As the buns cool and rest, some of the saucy mixture re-absorbs and making them the night before and cooling until morning is okay. I inverted the pan, but it’s not necessary. Either way, spoon the sauce pooled in the bottom of the pan back over the top of the rolls to make sure they’re well-coated and nice and sticky. Preheat oven to 350F. Spray a 9-inch pie dish with cooking spray, set aside. Whisk in the dark brown sugar until smooth. Pour mixture into pie dish; set aside. Open can of biscuits and make one long, gently pressing the seams together with your fingertips. 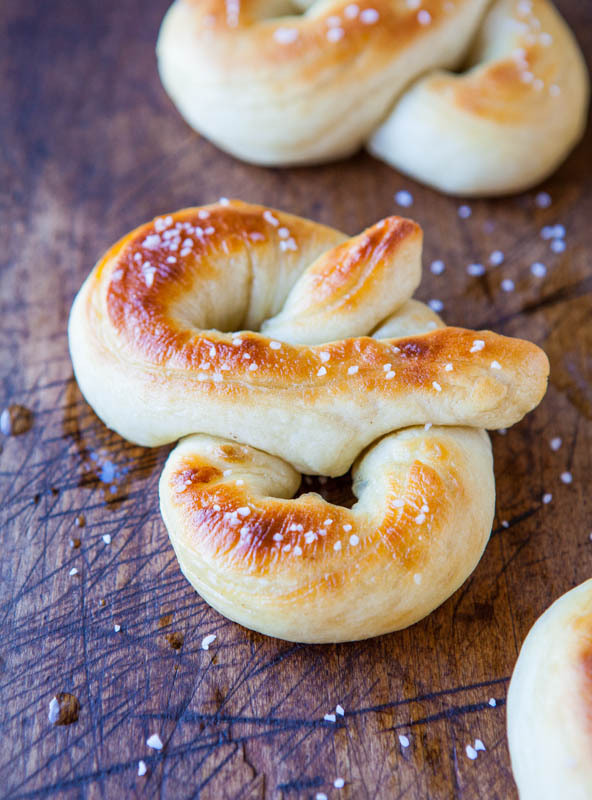 The row doesn’t have to be perfect, and the less you handle the dough, the better. It gets very limp, soft, and mushy quickly. 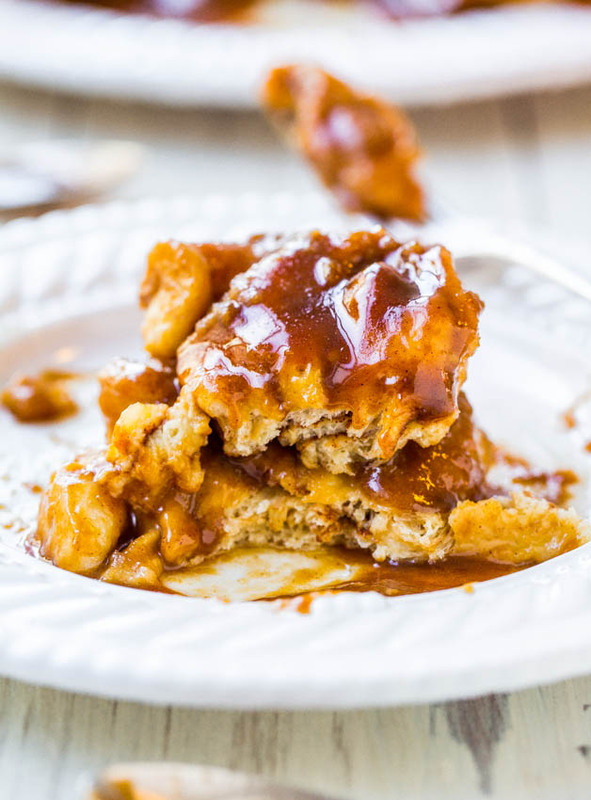 Evenly drizzle with caramel sauce (eyeball it). Evenly sprinkle with cinnamon, to taste (eyeball it). To slice the dough log into segments, I use unwaxed dental floss. It’s truly the best for making clean cuts without squishing and compressing the log; use a knife if necessary. I made 9 rolls. Transfer dough segments to pie dish, evenly spaced. Bake for about 20 minutes, or until the portion of buns that aren’t covered in sauce is set and firm to the touch. The caramel sauce in the bottom of the pan will be a little bubbly and will have thickened up some. I allowed the buns to cool overnight in the pan before inverting the next morning. Overnight, lots of the sauce absorbed into the buns. I chose to invert them so the sauce would be on top, but it’s not necessary and you can spoon it out of the pie dish and drizzle it over the buns. Fresh is always best (although I did make them the night before and they were just fine), but buns will keep airtight at room temp for up to 4 days; reheat gently in micro for a few seconds if desired. This post is brought to you by Pillsbury. Recipe, photography, and opinions expressed are my own. I love how saucy they are. And I looooove that you used the dough. OMG these are the best rolls ever! 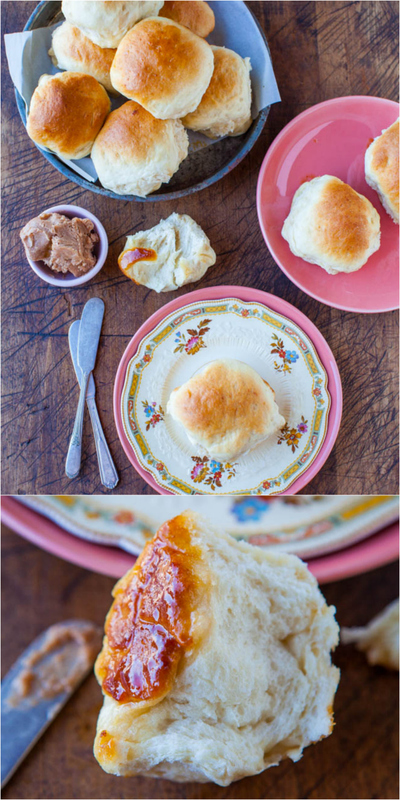 I make something similar, but put chopped pecans or walnuts on the caramel before adding the rolls. Then you can call them “healthy”. Great mind DO think alike! High five for us – two obvious geniuses! COME TO MAMA!! I am all about these buns, I should have been in SD the day you made these!!!!!! I am all about the shortcuts to save sanity! Especially when the shortcut looks SO GOOD! 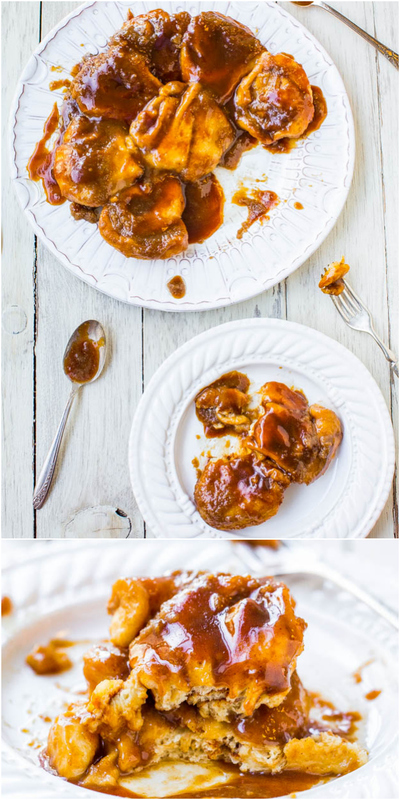 Gooey caramel, soaked cinnamon buns. Just stop it. Somehow that kale salad I just ate, is seeming really blah. I love having a quick version when I need it! 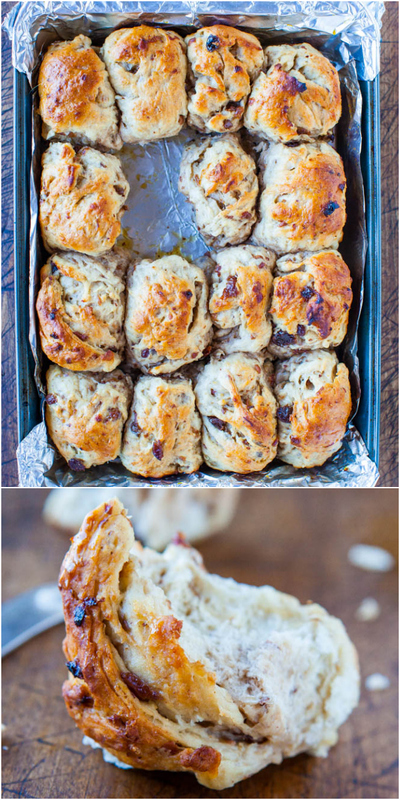 These look SO gooey and delicious! Must try!! Oh Averie… This is dangerous. So dangerous. A 30-minute recipe this sweet, this decadent, this incredible? I’d want to bake sticky buns every day for the rest of my life, but I can’t nearly run enough miles to work them all off! That is one sloppy mess of a plate. I love every inch of it. Hello Weekend treat! So much caramel! I am IN! Pinned! Oh Averie, this post is basically full of all of my favorite things. These look beyond amazing. WOW! Reminds me of the good old days of Monkey Bread! these are the STICKIEST of sticky buns!!! omg that salted caramel, I’m drooooling! 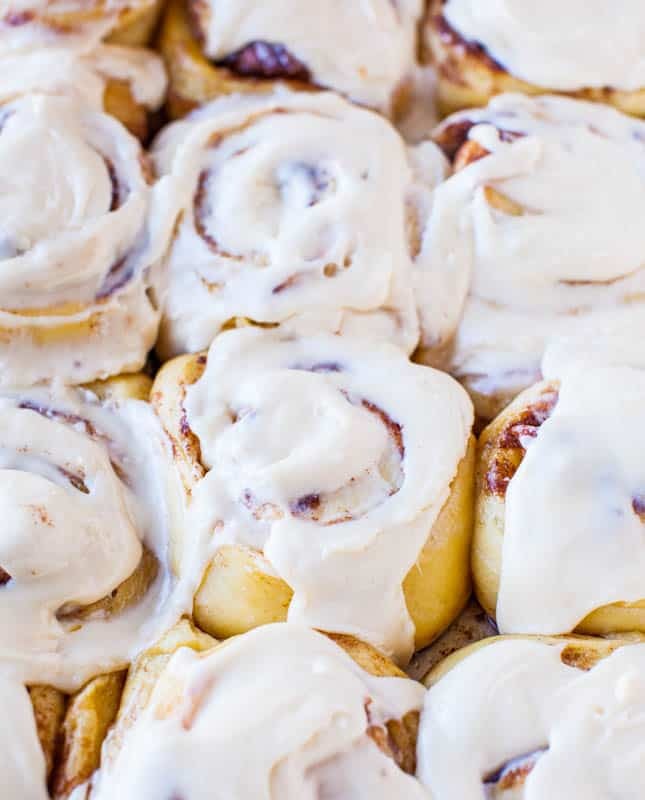 Could you use the Pillsbury cinnamon rolls? 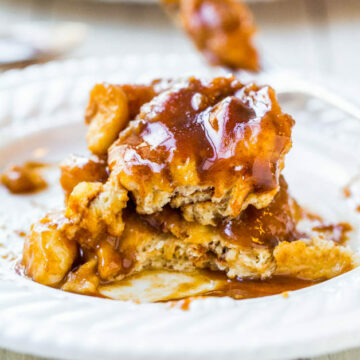 If so, would you alter anything as a result in the existing sticky bun recipe? 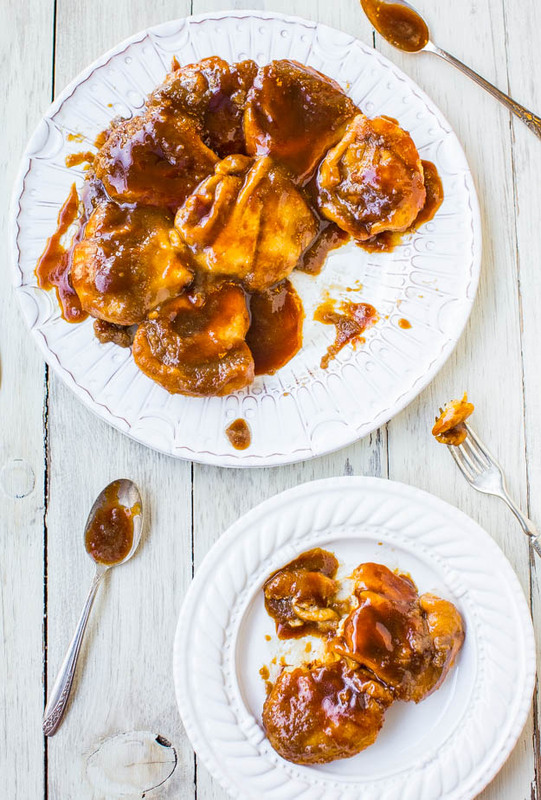 They’re already sweetened so by adding the brown sugar and caramel sauce, they will be very sweet.